Want to see what pure dedication looks like? 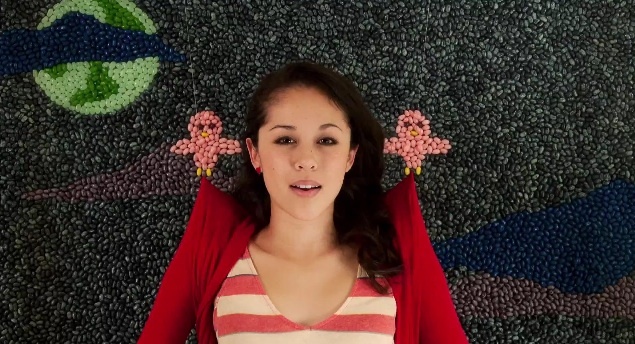 This music video for the song “In Your Arms” by Kina Grannis is a stop-motion animation done with a background composed of jelly beans. It’s a crazy project that required 22 months, 1,357 hours, 30 people, and 288,000 jelly beans. They could have used CGI, of course, but each frame was carefully created by hand and photographed with a still camera. It’s even more mind-blowing given this fact: none of it was done with a green screen.